बादल trolls Seph. Hey, guys. Don't be mad या something about this pic. It's just a joke :P. Wallpaper and background images in the Final कल्पना VII club tagged: final fantasy vii advent children cloud strife. 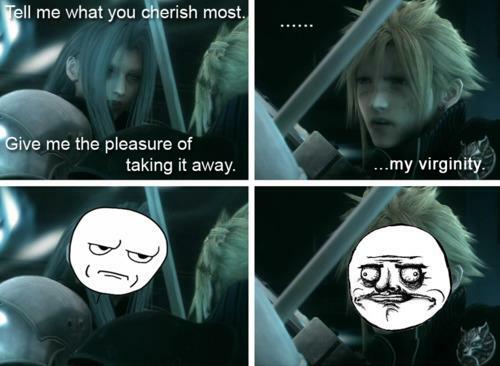 Oh my god, that Is hilarious... but.... Maybe Seph would take it away?